Pricing and specification for the all-new PEUGEOT Rifter has been announced for the UK, starting from £19,650 OTR. The all-new Rifter which adds a unique, robust design and a premium driving experience to the market is available in Active, Allure and GT Line trim levels as either Standard Length (with five seats) or Long Length (with seven seats). The PEUGEOT i-Cockpit® in the all-new PEUGEOT Rifter offers a more agile and instinctive driving experience thanks to the compact steering wheel, head-up display and large 8’’ capacitive colour touchscreen. Active trim includes as standard Lane Keeping Assist, Speed limit recognition and recommendation and Active Safety Brake, air conditioning, electric and heated door mirrors, Bluetooth®, DAB radio and aluminium roof bars. Prices start from £19,650 OTR for the Short version and £21,570 OTR for the Long version. In Allure, the all-new Rifter adds electric rear windows, rear parking sensors, electric parking brake, tray tables at the back of the front seats, 8” capacitive colour touchscreen with Mirror Screen® (compatible with Apple CarPlay™, Android Auto and MirrorLink®) and voice recognition, LED daytime running lights and 16" 'Taranaki' Alloy Wheels. Prices start from £20,920 OTR (Short version) and £22,620 OTR (Long version). Range-topping GT Line, which starts from £22,570 OTR in Short version and £24,270 OTR for the Long version, adds extra connected services and comfort features. 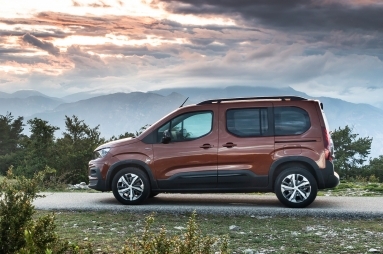 PEUGEOT Connect SOS and Assistance and Connected 3D Navigation is standard along with keyless entry, automatic dual zone climate control, power folding mirrors, Zénith® panoramic glass roof with numerous storage spaces & electric interior blind and 17" 'Aoraki' Alloy Wheels. 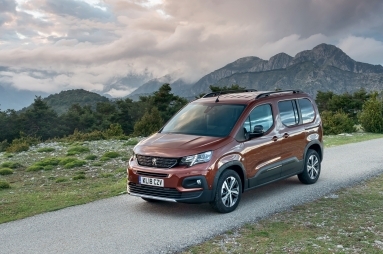 The all-new PEUGEOT Rifter is available with the latest range of PEUGEOT engines, including the award-winning 1.2 PureTech 110 S&S petrol engine with 6-speed manual gearbox, as well as the acclaimed 1.5 BlueHDi 130 S&S, with a 6-speed manual or 8-speed automatic gearbox. Bianca White is the standard colour for all trims, with Onyx Black and Ardent Red available as options. Metallic paint in five colours (Cumulus Grey, Nimbus Grey, Pearl Sand, Deep Blue and Sunset Copper) can also be specified on Active, Allure and GT Line. All-new Rifter additionally offers Advanced Grip Control® with Mud & Snow tyres improving traction control through continuous action on wheel spin. This works in combination with the Hill Assist Descent Control, which automatically maintains optimal speed on steep slopes.